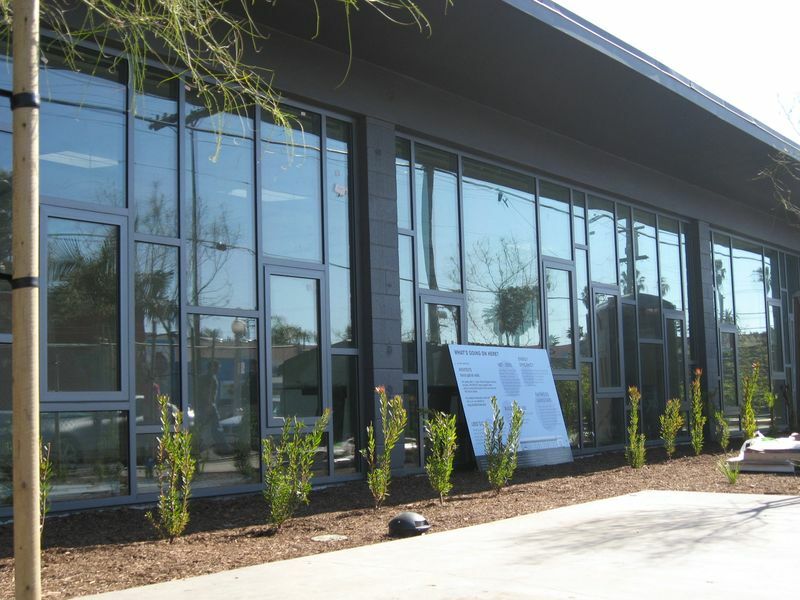 The goal: The owners of Architects wanted to showcase their passion for energy-efficient design when they moved offices in Ocean Beach last year. Their previous projects had included designing an eco-friendly building for the OB People’s Organic Foods Market a decade ago. “When we had the opportunity to do our own office, we figured we better practice what we preach,” said Randy Hanna, a principal with the eight-member company. The process: Hanna and his colleagues bought a 5,000-square-foot auto repair shop at Bacon and Santa Monica streets, intending to redo it as a green showpiece. Deciding not to build from scratch was part of the low-energy strategy. I am really glad to know of what they were able to accomplish with the renovation. I just wish the building wasn’t so drab…it doesn’t make me happy looking at it :-( I guess I probably wouldn’t pick this firm as my architect. Nunya, you’re always so wordy.